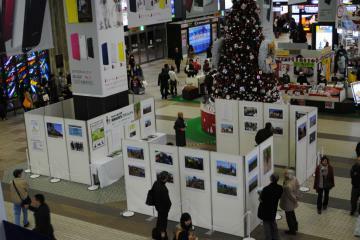 On the occasion of marking the 1,000th days after the Great East Japan Earthquake which devastated the Pacific coastal areas of the Tohoku region in March 2011, OISCA held a photo exhibition about its 10-year Coastal Forest Restoration Project in Natori City, Miyagi Prefecture. 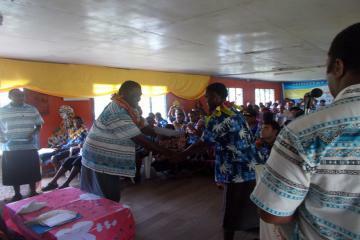 A graduation ceremony was organized on the 6th of December for the 14 agricultural trainees, 2 advance agricultural trainees and 15 carpentry trainees under the Capacity Building Program of OISCA in Fiji in collaboration with the National Youth Training Center. 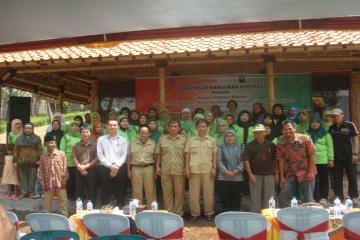 OISCA initiated the construction of the cooperative shop named “WOMAN” to market the products made by the village mothers who are the beneficiaries of the Women`s Empowerment Project funded by Ajinomoto Corporation Japan that started in 2011.